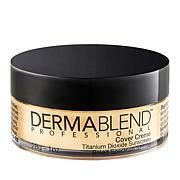 For sun protection benefits, foundation must be reapplied at least every 2 hours. Ingredients: active ingredients Titanium dioxide 6.8% inactive ingredients Water, undecane, dimethicone, glycerin, tridecane, polyglyceryl-4 isostearate, pentylene glycol, cetyl PEG/PPG-10/1, dimethicone, hexyl laurate, magnesium sulfate, disteardimonium hectorite, trihydroxystearin, cellulose gum, aluminum hydroxide, disodium stearoyl glutamate, acetylated glycol stearate, acrylates copolymer, ethylhexylglycerin; may contain: titanium dioxide, iron oxides. Love the smooth texture! I am 61 so it has been hard to find that it n a foundation. Definitely needed a darker shade at next order. 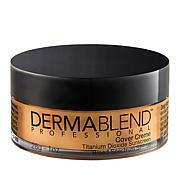 This product is excellent, smooths on your skin evenly and makes it look natural !! I have used Dermablend foundation for many years. I just recently found that I could happily order it from HSN. I apply it early morning and it stays all day until I remove it at 10 p.m. Love it!! 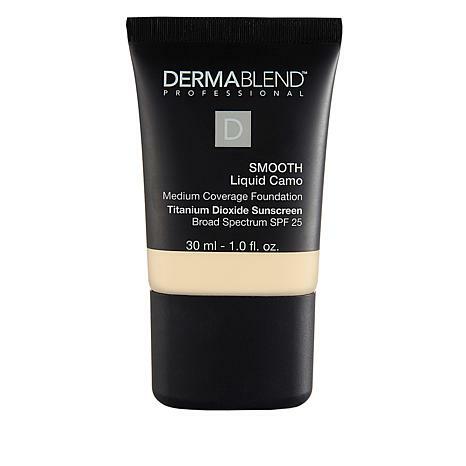 I have used Dermablend products before and love them, however this shade was just too light for my complexion. Had to send it back. It goes on nicely but is too dry after applying. Not for mature skin imho.